This week we are very excited to reach our 2 year anniversary! To celebrate, we are looking back at what we were up to in 2013 (it feels like yesterday!) and how far we have come. October, 2013 – Neil and Sarah get the keys to Train Together! It’s an exciting day, which Neil documented for us in a video tour of the building. It’s pretty bare without all of the kit! 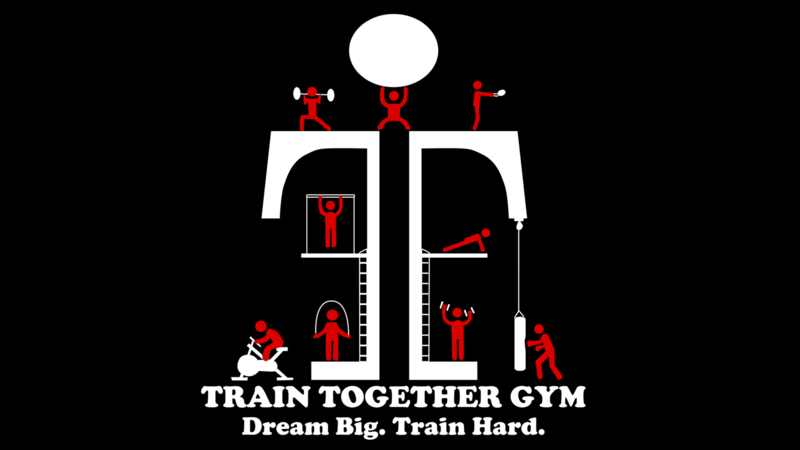 November, 2013 – Train Together opens! We started off with just one big room for everything – classes, gym and personal training. In the early days we had around 50 members and just over 100 likes on Facebook (it was much quieter back then!). 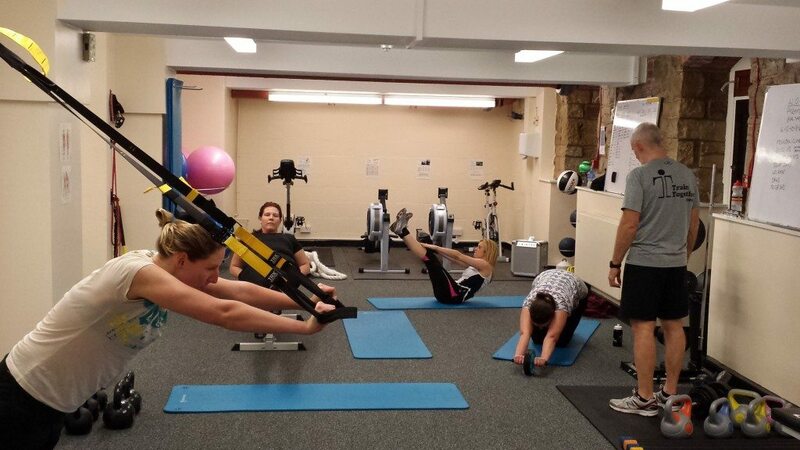 Here’s one of our evening Core classes with Neil – and we are pleased to tell you that some of the familiar faces in this photo are still with us today! 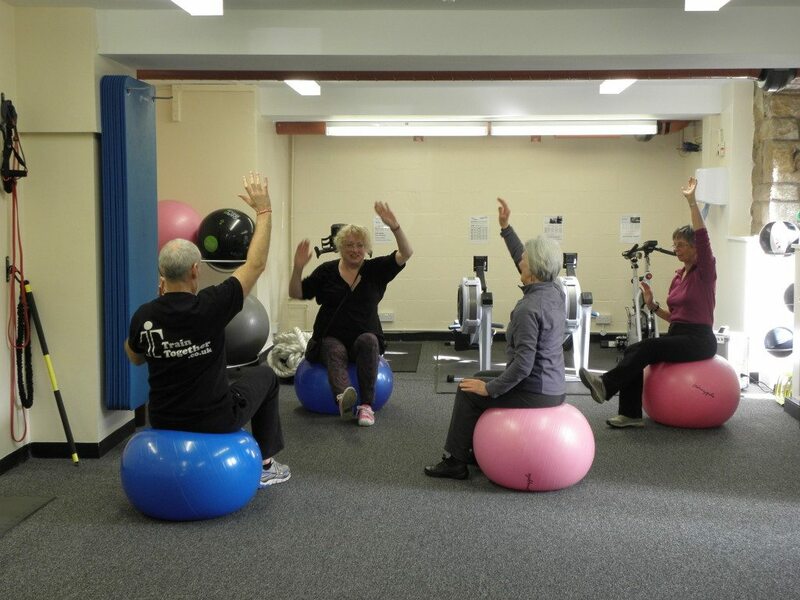 March, 2014 – We started an Age UK programme to help elderly people improve fitness, flexibility and balance. We had a fantastic time working with a wonderful bunch of people. It was here that we introduced our Platinum membership for the over 60s. Unlimited classes and unlimited gym for just £25 – making sure that they are catered for here in Lancaster! 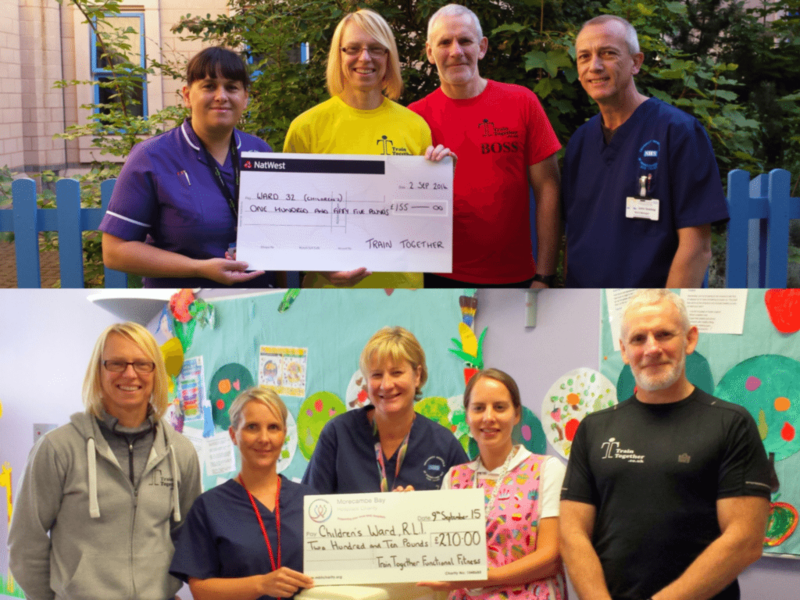 August, 2014 – The NHS is very dear to our hearts, so we decided to support our local hospital and staff in the best way we know possible – working out! The challenge was simple, the more Free Week vouchers given out by our amazing members, the more money we raised for the RLI Children’s Ward. We smashed our target and have so far managed to raise an impressive £365 for the ward (no doubt we’ll be at it again next year). September, 2014 – We expanded! We took on the two extra rooms across the hall. One room became our new gym, filled with lots of new equipment and space. The second room is now our classroom for our courses including First Aid, Gym Instructor and Personal Trainer courses. March, 2015 – We have a fantastic team of friendly, dedicated and good-fun staff at Train Together. Julie was one of our earliest members. She qualified as a fitness instructor with us early this year and has since been running weekly Boot Camps every Tuesday and Thursday morning – they are full of energy and the best way to start your day (I urge you to give one a go!). Julie is now working hard towards her Level 3 Personal Trainer qualification – which we know she will smash (she’s a pro!). Joe and Chris also joined us, injecting new life into the gym. They are great fun and a good laugh – just what you need to get you through those last sets of burpees! 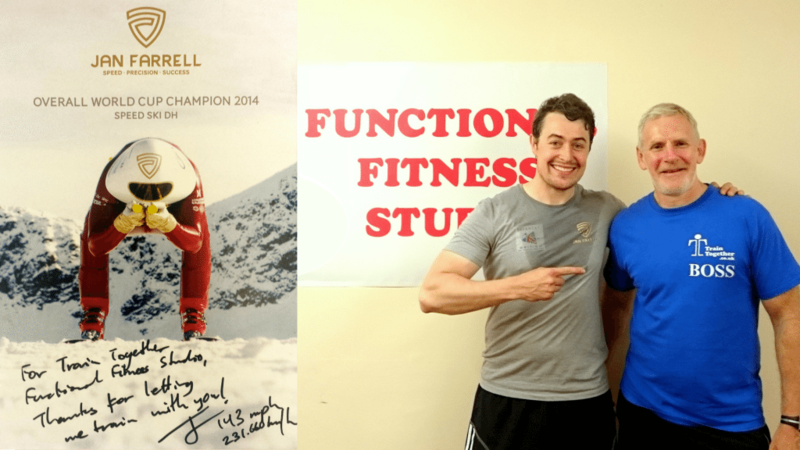 August, 2015 – Alongside our other international athletes (check them out, here), Speed Skiing World Cup Champion, Jan Farrell found us and joined us to train on his UK visit. He is a great guy! Friendly, hard-working and enjoys a good laugh – so he slots perfectly into our bunch of members. November, 2015 – Today we have a bustling gym to be proud of! We have a wonderful group of members training with us regularly, we have witnessed some impressive transformations and we are keeping Sarah and Neil busy with regular First Aid and Fitness courses. We recently introduced some new classes, including Yoga and Zumba on a Tuesday evening (take a look at our time table). Like us on Facebook for regular updates. We hope to see you soon!